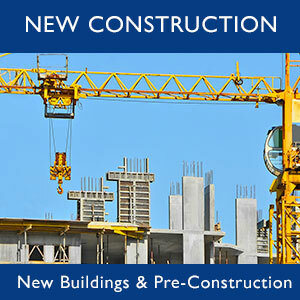 The Miami Dade condo market regained its momentum this past week. There were 189 transactions for a total sales volume of $73,576,073. 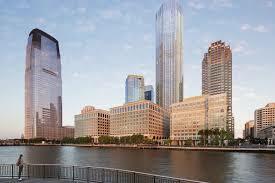 The average price for a condo was $389,291.40, or $317.12 per square foot. 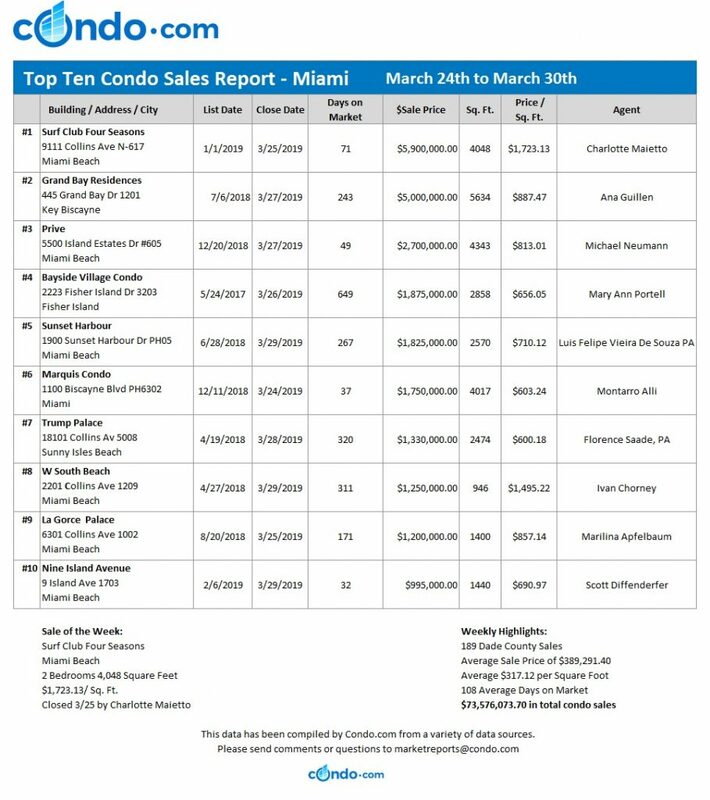 Miami was the top city, recording 74 sales for a total sales volume of $27.266 million. Miami Beach reported 42 closings for a total of $19.674 million. Key Biscayne reported 4 transactions for a total of $6.745 million. The top condo sale of the week was a spacious 4,048 square foot unit at The Surf Club Four Seasons on Miami Beach. 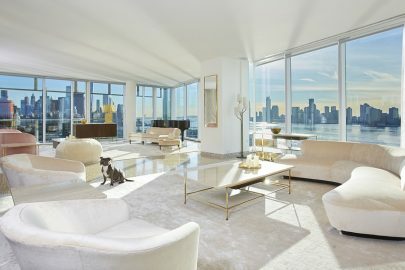 This two-bedroom residence at 9111 Collins Avenue sold for $5,900,000, or $1,723.13 per square foot. 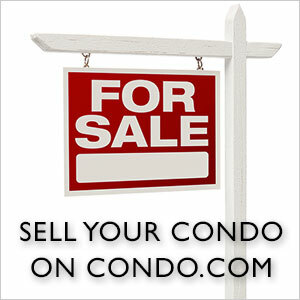 After 71 days on the market, this condo was sold by Charlotte Maietto. The Miami Dade condo market remains upbeat throughout Spring.